Bethany Williams-Holthouse said her thesis combined her love of horses with an interest in water management. Innovative research into drought-proofing Australia’s horse properties has won a Queensland state award for emerging town planners. Bethany Williams-Holthouse, of Bundaberg, recently received a Minister’s Town Planning Prize at an awards ceremony at the state parliament for research on the experiences of Australian horse property owners confronted with drought and flood events. Williams-Holthouse, who graduated from University of the Sunshine Coast in April with a Bachelor of Regional and Urban Planning (Honours), is a strategic planning officer with the Bundaberg Regional Council. 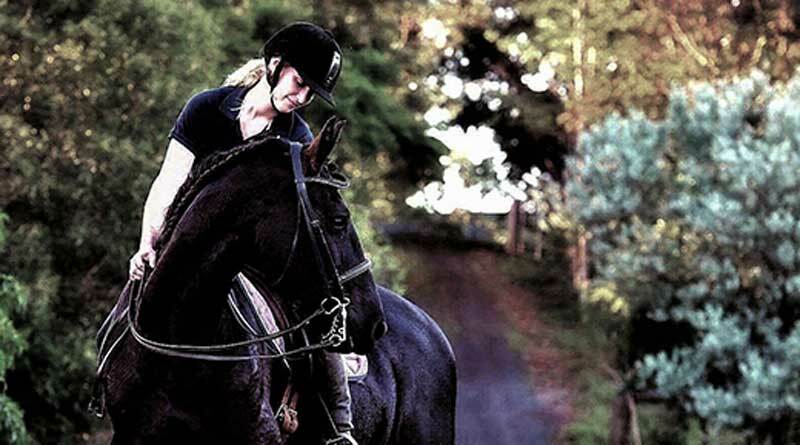 The keen horse rider said her thesis combined her love of horses with an interest in water management. “My research aimed to identify ways to enhance drought and flood resilience on horse properties in Australia and included a national survey of property owners and in-depth interviews with members of the equestrian community in the Childers area,” she explains. The study, supervised by Associate Professor Claudia Baldwin, found there was little representation of horse property management in water and disaster policies, plans and strategies. “The findings proved the importance of integrated policy representation that considered both water and disaster management,” Williams-Holthouse says. “The study also revealed that encouraging partnerships and communication in the horse community was an effective way to enhance property resilience. The Minister’s Town Planning prizes are awarded annually to the best thesis or major research study by final-year planning students at seven Queensland universities. The awards recognise research with innovative, practical approaches to real problems that have the potential to contribute significantly to the advancement of regional or town planning techniques. Williams-Holthouse said it was great to receive the acknowledgement through the award, as it showed strong support for professional development and academic achievement. The former Isis District High School senior received a USC Faculty Medal for academic excellence when she graduated with a grade point average of 6.82 out of a possible 7. During her studies she gained an inaugural Sunshine Coast Council Award for Excellence in Cultural Heritage Research for generating original research on Indigenous cultural heritage protection in Montville. Completing a PhD in cultural heritage planning is her next career goal.